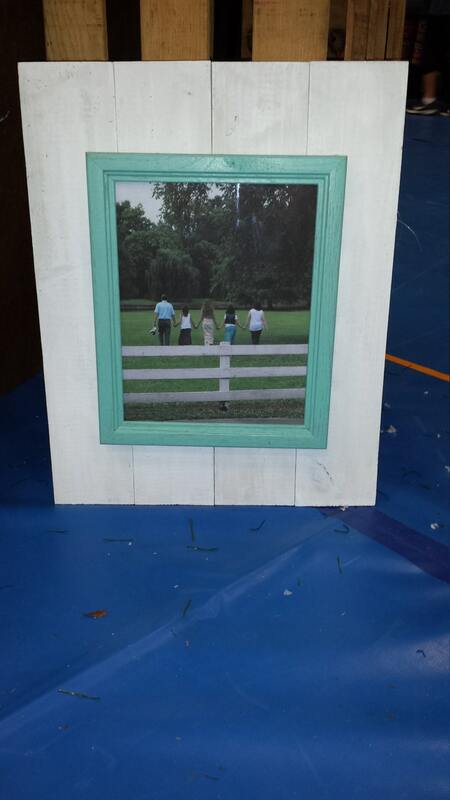 Wood plank Picture Frame. White washed wood plank frame measures roughly 14" wide by 18" tall. The turquoise 8x10 picture frame is attached to the planks with velcro so the pictures can easily be changed. The planks are wired for hanging but could also be leaned for a more casual look.